Several U.S. Supreme Court justices suggested a willingness to give lower courts more leeway to award enhanced penalties during arguments related to a Stryker patent case against Zimmer Biomet. 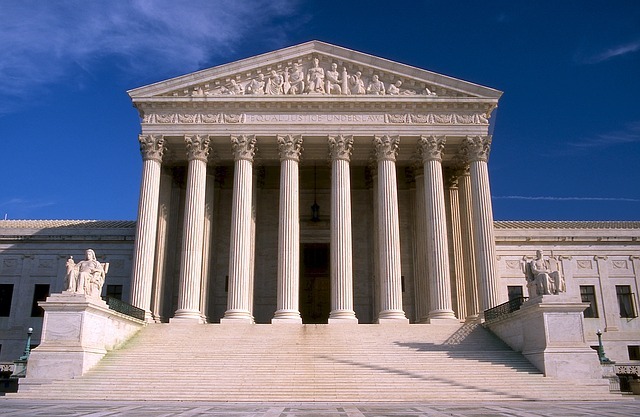 There is a chance the U.S. Supreme Court may side with Stryker in a case against Zimmer-Biomet that could give lower courts more freedom to increase penalties against the worst infringers. The case--as well as a separate lawsuit brought by communication and power magnetic transformers maker Halo Electronics that is also under review--could have ramifications for companies in a wide range of industries, from medical devices to software. If the Supreme Court ends up ruling in Stryker and Halo's favor, companies would end up facing district court judges with more discretion to increase damages. In the case Stryker filed against Zimmer (which has since merged with Biomet) in 2010, a U.S. district court ended up tripling the $70 million in damages lost profits--for an award that grew to more than $210 million. The case involved pulsed lavage devices, which are used to clean bone surfaces during surgery and improve wound visualization. "They hired an independent contractor, they handed the contractor a patented product; they said, essentially, 'Make one of these for us,'" Jeffrey Wall, a lawyer representing, said of Zimmer during oral arguments on Tuesday before the Supreme Court. Zimmer lost every argument it advanced at claim construction, then lost most of the disputed claims on summary judgment. It lost all of its remaining claims at trial. At the time the jury announced its verdict, Zimmer had not changed its product design. This is consistent with both the market and litigation strategy that Zimmer has followed for years. Zimmer chose a high-risk/high-reward strategy of competing immediately and aggressively in the pulsed lavage market and opted to worry about the potential legal consequences later. The U.S. Court of Appeals for the Federal Circuit in Washington had agreed that all of Zimmer's defenses were unsuccessful, but found that Zimmer had presented a reasonable defense and therefore vacated the treble damages awarded by the lower court. Under the Federal Circuit's 2007 ruling, a patent owner must prove a defendant acted amid a high likelihood that the activities were patent infringing, and that the infringer should have known about the risk. Chief Justice John Roberts described the "fairly elaborate standard" as "surprising." Roberts noted that "courts have been used to dealing with discretionary standards for a long time." On the other side of the argument, Justice Stephen Breyer asked whether the chance of harsh penalties might further dissuade small businesses in fields such as software from competing against big corporations. Justice Elena Kagan mused that a company might be more willing to potentially infringe a patent under the Federal Circuit's two-part threshold because it would simply need a lawyer to "come up with some kind of argument about why the patent is not valid after all" in order to avoid the toughest penalties. "That seems like it's a bad incentive," Kagan said.